I’m still recovering from Vidcon over the weekend—not only Vidcon itself, but work that stacked up in the days preceding it that I wasn’t able to complete before the convention. Because of that I couldn’t make a video yesterday to tell you that DARKFIRE HAS RELEASED! I’m sitting here holding a PHYSICAL paperback copy that is just so, so pretty. I seriously love these books, you guys. I mean, I know that’s pretty egotistical of me to say, but I’m sorry, I can’t help it, I love them. 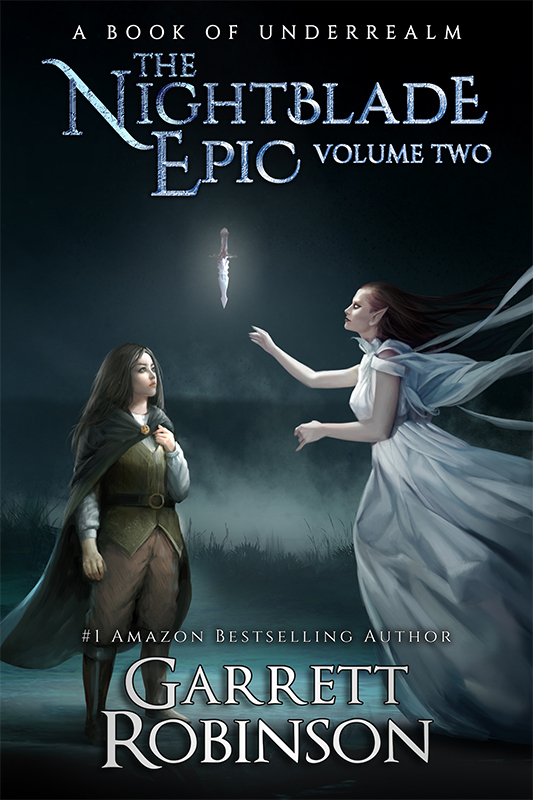 Darkfire is the third book in the Nightblade Epic, and the end of the first trilogy in the series. Now the term “first trilogy” might sound a little weird to you, but basically, the Nightblade Epic is actually a series of trilogies. While every book is a self-contained story with a definite beginning, middle and end, there is one great, broad arc that covers every THREE books. Now, because this is the FIRST trilogy, I felt like the ending kind of needed to be a bit of a doozy. If you’ve read the first two books, there are certain rules about Loren and the world and therefore certain assumptions I hope you have already made. Yeah, the ending of Darkfire kind of throws all of them out the window. It’s also a very emotional ending. In fact, it’s no exaggeration to say this is my FAVORITE ending of any book I’ve written so far, out of seven complete novels that have come out of these ten spindly little fingers. But it’s not just me saying that. The feedback from my advance beta readers has been really helpful and awesome. They’ve described the ending as brilliant. They’ve said they were ecstatic and heartbroken in turn. A bunch of you already pre-ordered the ebook copy, or you pre-ordered the first trilogy box set, which comes out next Tuesday. And if you’re one of those people, I wanted to let you know about a thing. I am doing a giveaway of a signed paperback set of the first trilogy—all three books, in print, signed by me—to one questionably lucky reader. If you bought Darkfire already, or if you pre-ordered the first trilogy box set, all you have to do is send me an email with a proof of purchase—like your Amazon receipt, or something—and you’re entered to win the paperback set. I’m going to leave that open until next Tuesday, at which point I’ll randomly select the winner, get their address, and ship them their books. So if you want three frankly beautiful paperbacks sitting on YOUR bookshelf at home, here’s links where you can EITHER go and pick up Darkfire, or pick up the first trilogy box set. Again, either one is a valid entry to the giveaway. Another book out there in the world, and now it’s time to get ready to write the next one. In a couple of days. When I’ve had some more consistent sleep. And I’m a bit more caught up on other work. Tomorrow and the next day I’ll probably be posting Vidcon videos, I haven’t been able to wrap those up yet but I’m making them a priority for today, so look out for that. Rebels, thank you so much for watching, and an extra special shout-out to my supporters on Patreon.com, who make all of my YouTube videos possible. In particular I want to thank my Sponsor level supporters who you can see here. That’s a new reward level I added where for $10.00 a month you get your name on a special little thank you card at the end of every YouTube video. So…thank you! You guys are awesome. Stay tuned for more Vidcon videos coming soon, and I will see you tomorrow. Byyye.